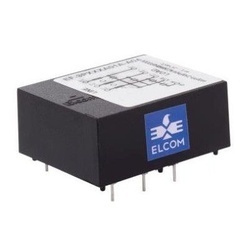 Elcom manufactured EMI (Electromagnetic Interference) RFI (Radio Frequency Interference) Filters, basically are passive electronic devices that are used to suppress conducted interference that is found on a signal or power line. 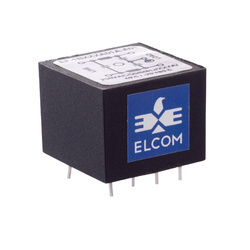 RFI/EMI Filter will suppress the interference created by other equipment and the interference of the module or system itself, with the desired result being improvement to the immunity from EMI signals in the surrounding setting. 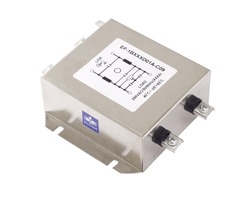 RFI/EMI Filters are available in different configurations (Single phase - chassis mountable, PCB mountable, Panel mountable, Three phase - with screw Terminals ,with bus-bar terminals etc). 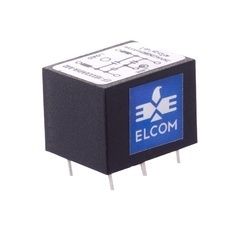 RFI/EMI Filter works by presenting a significantly higher resistance to higher frequency content. 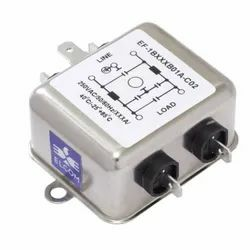 In other words, the low pass design of the RFI/EMI Filter (the combination of shunting capacitors and series inductors) results in the restriction/impeding of the flow of high frequency signals, effectively shorting it to ground. 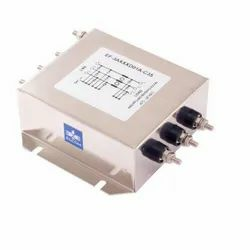 The final result of the RFI/EMI Filter is that it reduces and attenuates the unwanted signal strength, thereby having a minimal effect on other components or devices. 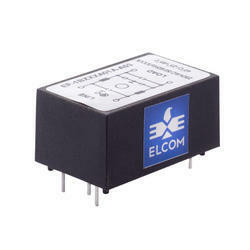 Elcom has state of art manufacturing facility. 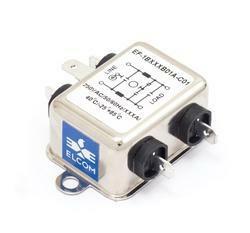 Elcom has a dedicated team in the R&D to provide customized filters as per the applications & customer's requirements. Voltage Drop 1 Volt max. 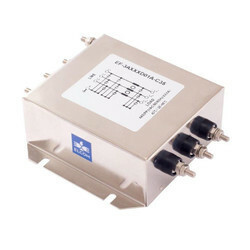 We are involved in offering Ac Three Phase Four Wire (Screw Terminal)that are sourced from the reputed manufacturer. 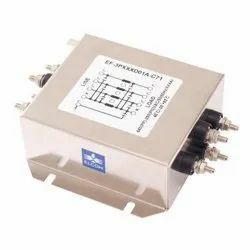 We are involved in offering Ac Three Phase Four Wire (Screw Terminal) that are sourced from the reputed manufacturer. 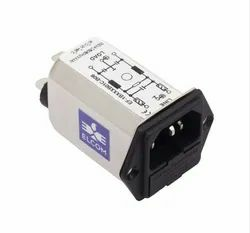 We are involved in offering Filter with Circular Connector Ep-442-10 (dC Filter) that are sourced from the reputed manufacturer. 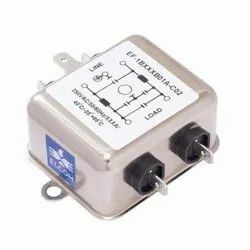 We are involved in offering Filter with Circular Connector Ep-442-3 (ac Filter) that are sourced from the reputed manufacturer. 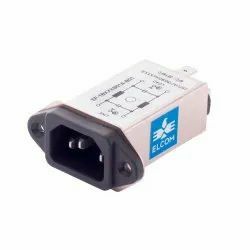 Application: Computers, Office Equipment, Power Supplies. Voltage Drop: 1 Volt. max. 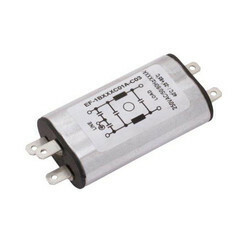 Rated Voltage: 250 V AC, 50 Hz, 1 Phase. 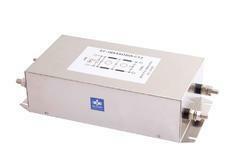 Application Power Supplies, Photocopiers, General Instrumentation. 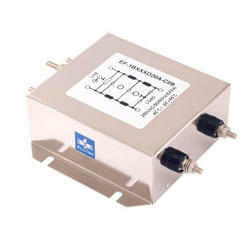 We are one of the leading manufacturer and supplier of RFI/EMI AC Single Phase Chasis Mounting Filter 15 Amp. We obligated to meet the quality standards as per the customer demand. Voltage Drop 1 V max. 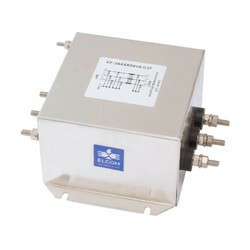 We are involved in offering EMC Filters that are sourced from the reputed manufacturer.